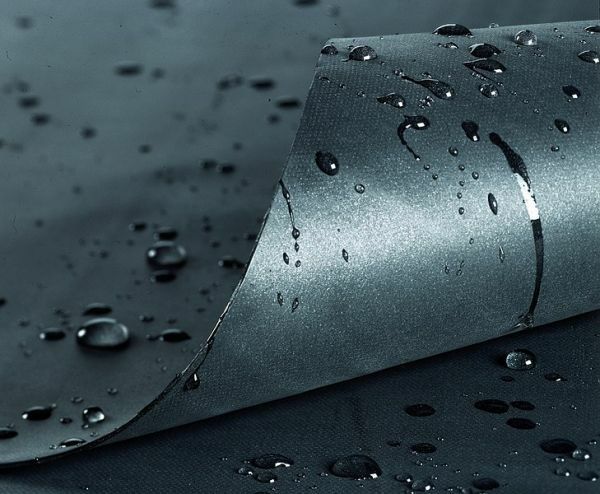 Single sheet pond liners from Gordon Low Products UK. All of our flexible lining materials provide effective watertight membranes and are perfect for installation into garden ponds, lakes and water features. 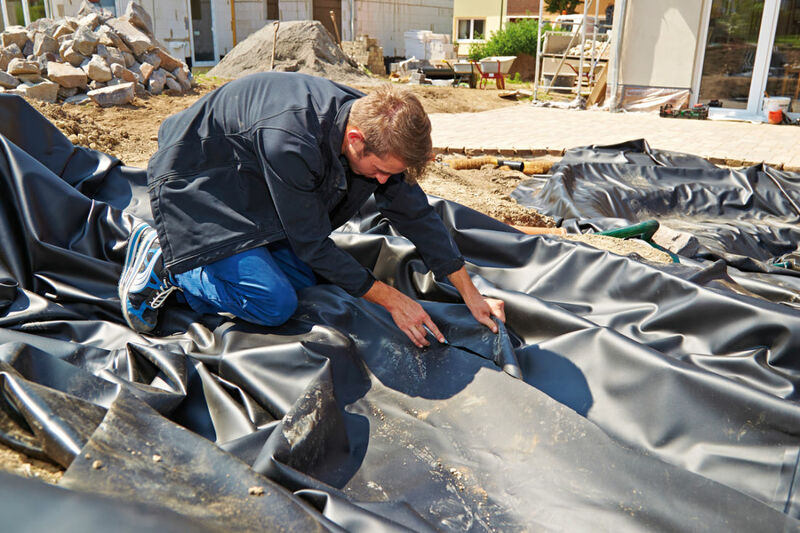 Materials of the highest quality to suit every budget, these rubber pond liners come with lengthy guarantees ensuring your investment, effort and pond are protected in the long term. Water Garden offer 4 choices of black flexible pond linings (PVC, SealEco GreenSeal, Butyl & Firestone EPDM) to suit the smallest water feature up to large ponds and lakes, whilst keeping cost firmly in mind. High quality Protective Underlay is also available to prevent potential rupturing of the pond liner from stone or root penetration. For more information on the specific fish pond liners we offer, please view more details below. Also feel free to use our Pond Liner Calculator and Pond Volume Calculators below to help you to measure the right size liner required. See our guide for How to Build a Pond here. Please Note: Larger Pond Liners & Bespoke Box Welded Liners may take between 2-7 working days to deliver. Our flexible rubber pond liners come supplied as a single prefabricated sheet that can be guided and manipulated around pond contours. Pleating and folding can be achieved with ease over uneven ground contours and marginal shelves on excavated ponds and lakes of almost any size, achieving a permanent watertight seal. Water Garden advise that you select the best material that your budget will allow, to ensure that lining your pond or water feature is a one-time investment and effort. Economical and easy to install, PVC is ideal for for smaller garden ponds or water features, or where cost is the major consideration. Black, 0.5mm thick. Lifetime Guarantee up to 140m² (20 year guarantee over this size). 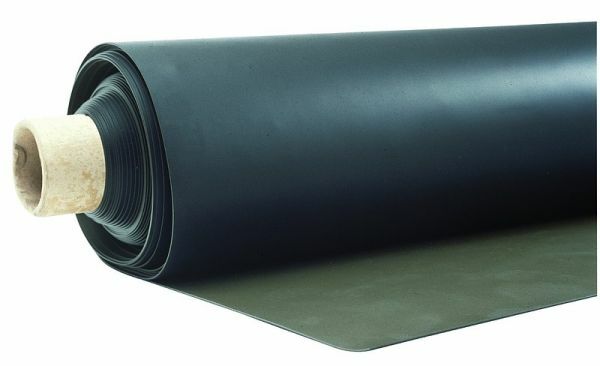 SealEco Greenseal EPDM is a synthetic rubber material which is 0.75mm thick and black in colour. This material is exceptionally easy to mould over pond floor contours, marginal steps and shelves. The name Greenseal relates to the environmentally friendly materials and formation processes that go into producing this high quality lining material, with no plasticisers or additives included it its make-up. SealEco Greenseal features all of the same characteristic properties of Butyl, the premium pond and lake lining material choice over the last 50 years. As well as being equal in UV, temperature and ageing resistance, Greenseal has also been found to outperform Butyl liners in tests on tensile strength and tear resistance, all this without carrying the premium cost of Butyl. For these reasons, SealEco Greenseal is fast becoming the preferred lining material for garden ponds, lakes and water features of virtually any size and is Water Garden’s first choice lining material for most applications, offering excellent durability and value for money. SealEco Greenseal can cope well with ground movement and will not become brittle or shrink over time. This material does not leach and is fully plant and animal friendly, ideal for fish pond or Koi pond applications. Greenseal is also available in a 1mm thickness grade for larger projects and can also be used to produce box welded liners (please enquire for details). SealEco Greenseal sheet liners are guaranteed for life up to 144m²; liners exceeding this size carry 25 year guarantees and Greenseal box welded liners are guaranteed for 10 years. Butyl is a well known brand in the pond lining industry, and is a premium grade liner. Butyl is similar to GreenSeal and moulds easily into pond deviations and contours. Suitable for all aquatic projects of any shape, size or complexity. Black, 0.75mm thick. Best suited to ponds, water feature or lake design projects where the Butyl brand name cannot be compromised and therefore GreenSeal is not an option. 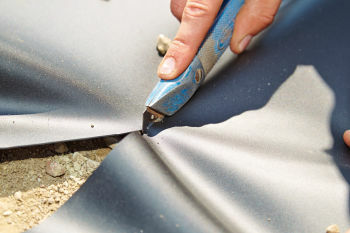 All Butyl pond liners come with the same guarantees as GreenSeal EPDM. 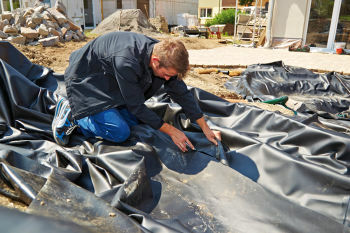 Robust black 1mm thick pond liners for larger ponds. Firestone is an internationally recognised brand and it carries a history of continued performance in the pond lining industry. As this is an American-based brand, liner sizes are cut to rounded imperial (feet) measurements and our advertised sheet sizes reflect accurate metric conversions of these measurements. Suitable for ornamental, fish and Koi pond installation. Firestone EPDM pond liners of all sizes are guaranteed for 20 years. Water Garden can provide bespoke Box Welded Liners in the UK in both 0.75mm and 1mm thick Greenseal EPDM. Box liners are well suited to formal garden ponds, fish ponds and Koi ponds alike. Contact us with your sizes for a quotation. Butyl can also be constructed to a bespoke box size if required. 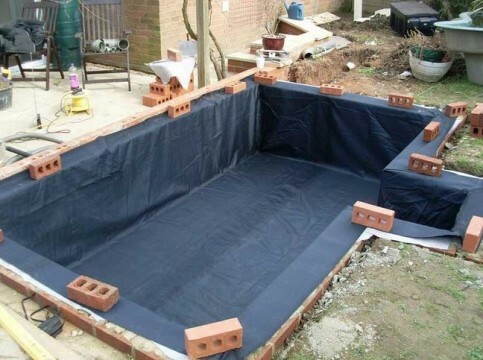 Made-to-measure pond liners will require a solid pond base and sides as these cannot be stretched in the same way as a single flexible sheet of liner. However, a box welded liner will simply drop into the prepared hole with no pleats or folding required, giving a very neat finish to the pond internals. All box-welded pond liners are all supplied with a 15cm top flange as standard and coping stones can be laid directly onto this flange. Made-to-measure liners carry a 10 Year Guarantee against manufacturing defects. View our guide for How to Build a Pond. Confused or need help? Water Garden have been involved in creating hundreds of ponds and water features in the UK and Europe for more than 12 years. We are here to help, no matter how small or great the pond size - Call our friendly team for advice! Pond liner purchased and put in place some 6 months ago is working well and was easy enough to install. High quality material and construction, so simple to install and a perfect fit, assuming you've measured correctly!